This is a round A.J. Robinson and Son porcelain sign. This particular A.J. Robinson and Son sign is predominantly white with red and green text. It reads, “A.J. 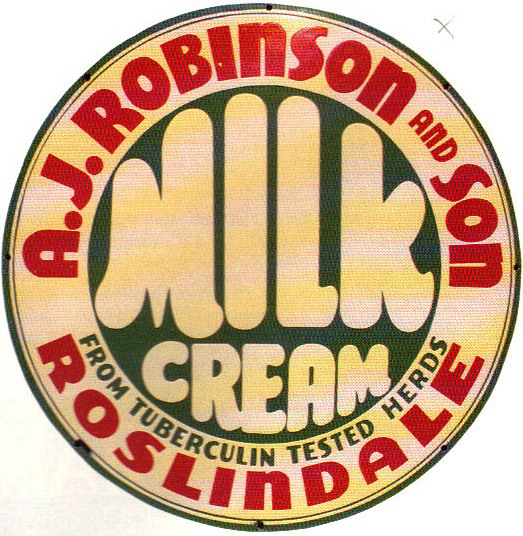 Robinson and Son Milk Cream, From Tuberculin Tested Herds, Roslindale”, and has no other design.